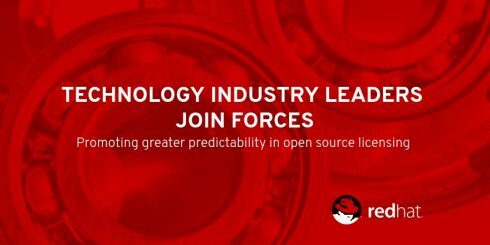 Red Hat has announced its open source license enforcement initiative is making new strides. As part of the GPL Cooperation Commitment, 14 new companies have joined the effort to promote greater predictability for GPLv2 and LGPLv2.x licenses. “Through this initiative, we hope ultimately to increase participation in the use and development of open source software by helping to ensure that enforcement, when it takes place, is fair and predictable,” according to the commitment’s website. The new companies are Amazon, Arm, Canonical, GitLab, Intel, Liferay, Linaro, MariaDB, NEC, Pivotal, Royal Philips, SaS, Toyota, and VMware. Other existing members include: Red Hat, Facebook, Google, IBM, CA Technologies, Cisco, HPE, Microsoft, SAP and SUSE. According to Red Hat, by joining the GPL Cooperation Commitment, these companies reject harsh tactics in open source licenses and support the idea that personal or corporate gain is not appropriate in open source.